To give it a different spin, I would recommend adding a clove of garlic, finely crushed and finely cut tomatoes, after they are seeded. 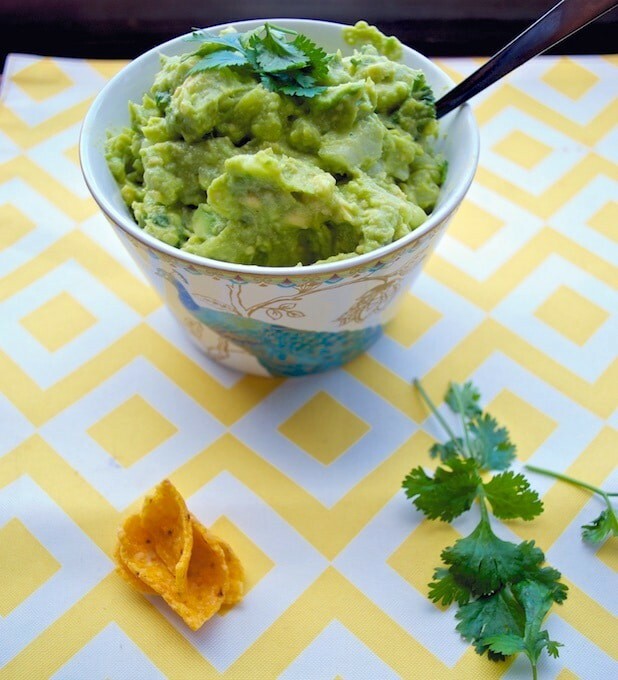 Enjoy with some tortilla chips or as a creamy spread to your sandwich! Slice the avocados in half and remove and discard the seed. Use a spoon to scoop out the flesh and place it in a bowl. Add lime juice and salt and use a fork or a blender to mash the flesh to a smooth consistency. Add the remaining ingredients - chopped onions, peppers and cilantro and blend them in. 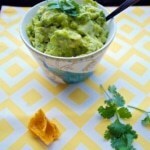 Serve with tortilla chips or use as a creamy spread for your sandwiches.